It's summer time on the wet west coast, and guess what? It's not wet! In fact, summers here on the southwest coast of British Columbia are anything but wet. While the climate is quite mild all year round (snow is such an oddity that people have no idea how to drive in it! ), with very wet winters, summers are often very dry. It seems like the only time it might rain on B.C. 's Sunshine Coast is either during Sea Cavalcade or just when the tomato plants start producing fruit (or is that a vegetable?). Here we are, living in a rainforest, yet there is actually a contest here for the driest, brownest lawn, due to the fact that we haven't got a big enough reservoir to get us through a summer dry spell without taking extreme measures. Watering your lawn is a taboo that can get you ostracized by your neighbors. That's one of the paradoxes (or is that paradoxi?) of living in a rainforest. Even Prince Rupert, on B.C. 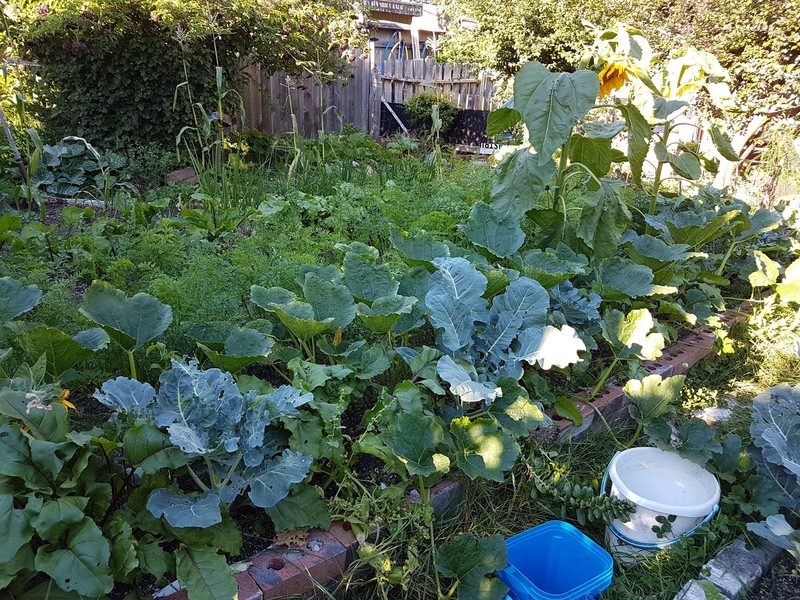 's northern Pacific Coast, billed as one of the wettest cities in North America, has had to put watering restrictions in place some summers. We have brown grass here in a rainforest, while our desert-dwelling friends in Kamloops and Kelowna have gorgeous green lawns all summer! The problem, of course, is quite simple. Because we live in a place where it rains all the time (which, in fact, it doesn't), we assume we'll never run out of water. Therefore, we don't create water storage facilities - aka, reservoirs - that will hold enough water to get us through a drought - which we often have for three or more months every summer. That worked out fine a few years ago, before the Sunshine Coast was discovered by Vancouverites who discovered they could sell their tiny rancher in the lower mainland for a millon-five and build a mansion over here. Our local governments, ever looking for ways to raise taxes easily, have been only too happy to continuously grant development permits for lots and subdivisions, but without doing anything to increase the water supply, ergo the brown lawns. But it gets worse. If we have an all too typically gorgeous, dry, hot summer like this one, the powers that be will wait until our tomatoes are almost ripe, the corn almost ready to eat, the very productive squash plants producing abundant gourds in preparation for our enjoyment alongside the lettuce and pole beans... Then they will tell us we can no longer water even our vegetable gardens, even by hand. That's right. Here, in a rainforest, we have to let our vegetable gardens wilt and die, due to a lack of water! But along with this really annoying fact, there is one more sinister. A rainforest has an abundance of growth on the forest floor, including some of the deepest most you could ever slosh through on a hike in the woods. But during a long, dry summer like this one, that moss and everything above it dries out. One lightning strike, one spark from a chainsaw or truck, or lawmower, one careless camper or smoker, and we have one of the scariest things you can imagine - a forest fire in a dried out rainforest. This year, we've seen a few started, all by human carelessness, but thankfully, our fire fighters have been quickly dispatched to exercise their excellent skills and thus saving us from a conflagration. However, we've already lost one of our own brave warriors not so very long ago, and can't afford to lose more. 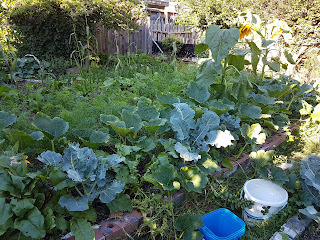 Thus, like it or not, until our water storage issue is ameliorated, we must put up with beautiful brown lawns and wilting veggies, or risk not having enough water to fight a deadly fire. Perhaps that's the price we have to pay for living in a place as near to paradise this Earth offers. What do you think?